Children’s Promise Centers (CPC) is a quality early childhood facility that has been providing care for children 6 weeks through 5 years old since September 2009. We strive to be a high quality center at affordable rates. As a pilot program of FOCUS, New Mexico’s quality initiative, we continue to work with the state on improving the overall quality of early childhood programs statewide. We were one of the initial programs to be verified as a STAR 3 and now a STAR 4 through the new program and continue to work towards the 5 STAR through the states initiatives. Children’s Promise Centers New Mexico PreK is Monday – Thursday from 8:30am-3:30pm. Our New Mexico Early PreK is Monday – Thursday from 8:30am-12:30pm. 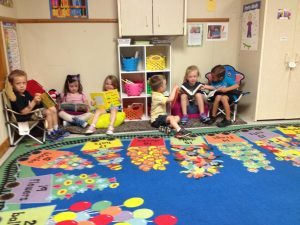 During these times we incorporate learning experiences from literacy, math, and science to social emotional and motor skills. We provide both Breakfast and Lunch as a part of both programs following the USDA food guidelines for young children. We also provide an optional free 30 minute Bible time from 8:00am – 8:30am in both classrooms. If you opt into the Bible time, your child will have a time of bible stories, songs and biblical values. All of our classrooms utilizes the New Mexico Early Learning Guidelines in order to plan lessons, observe students, assess where students are and plan again to help each child move forward in their development. These guidelines were developed as a framework to support each child’s development. The guidelines also give early childhood professionals ways to communicate with families about each child’s strengths and uniqueness. To learn more about New Mexico’s Early Learning Guidelines visit www. https://www.newmexicokids.org/content/early_learning_guidelines/. Each day at Children’s Promise Centers, your child will experience structured learning through play and teacher directed activities. Each child will have the opportunity to play games, sing songs, practice skills, spend time outside and interact with peers. 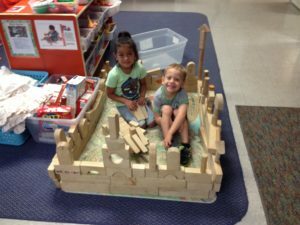 Children’s Promise Centers programs are geared toward helping each child be successful in a fun learning environment in order to prepare them for Kindergarten and future life experiences. 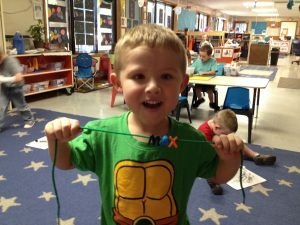 For more information please call 505-554-1206 or visit www.ChildrensPromiseCenters.org.